I’ve been finding tons of amazing looking recipes from foodie bloggers and I want to try them all!!!! This week I’m trying three new recipes. They all look so mouth watering and delicious! I’m drawn to Alyssa’s blog THE RECIPE CRITIC like a moth to a flame! Her recipes look scrumptious and her recipes are always so good! If you have never visited her site, take some time and dive into her culinary world. YUM! Zucchini Boats say “summer” to me! Even though my garden zucchini are not ready yet there are wonderful ones at my grocer’s. So we are enjoying this much overlooked little vegetable even before my plants have blooms on them! 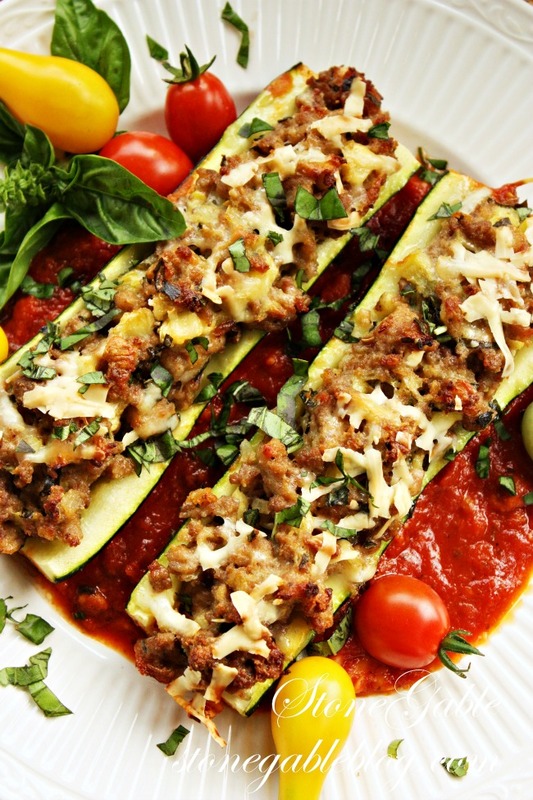 Zucchini Boats are a very healthy option for a weeknight meal! 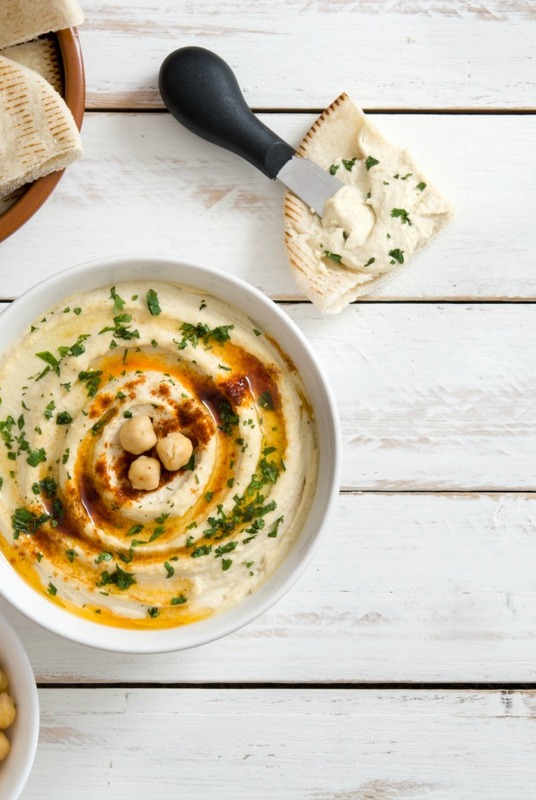 If you have a crowd coming for dinner this is a F-A-B-U-L-O-U-S recipe! So easy to make and everyone loves it! Make it easy and feed a whole crowd! Oh, goodness… my bean soup recipe is from a very old post. It is from 2009! My second month blogging. The images are hideous! 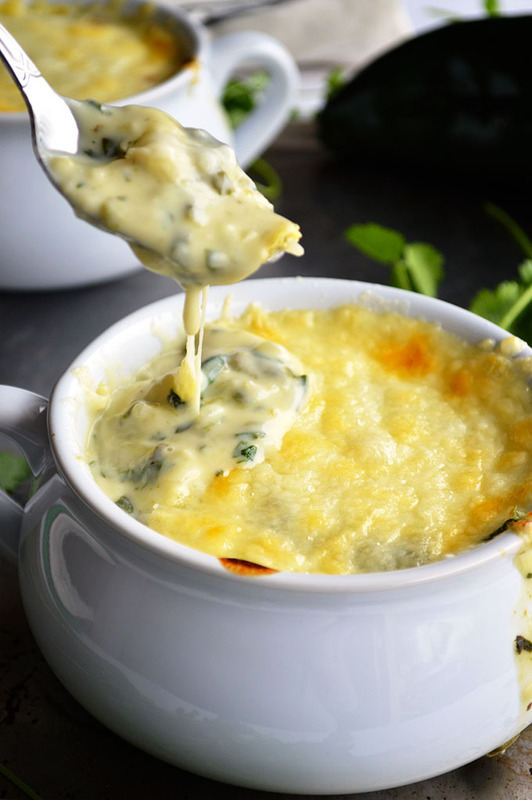 But this recipe is too good to pass up in spite of the images! I can’t wait to try tonight’s fish recipe. It comes from a new-to-me foodie blog, Recipe Tin Eats! Gorgeous images!!!! I can’t wait to delve deeper into Nag’s blog! Oh, I love Tex-Mex food! And I am wild over Chili Rellenos! I found this soup on Pinterest and that lead me to another new-to-me foodie blog… House Of Yum! Serene’s blog is amazing! 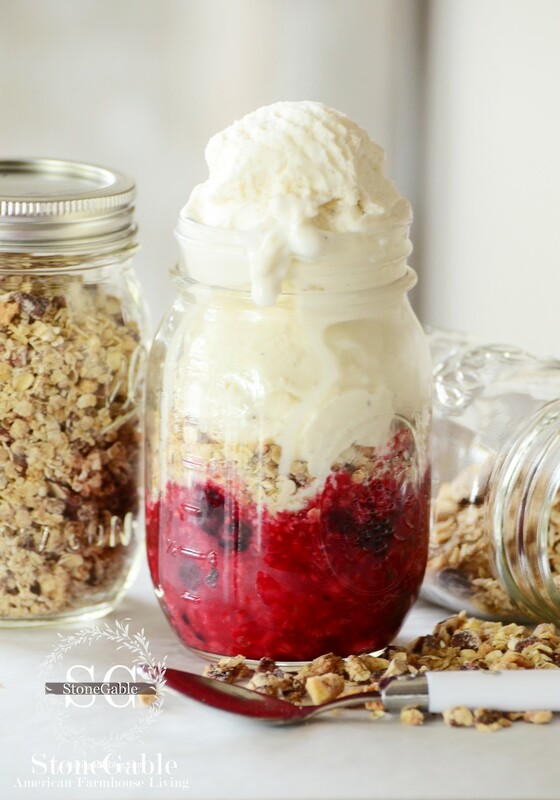 Here’s to a very YUMMY week! Every single one looks delicious! I am really looking forward to trying the fish recipe. I have more problems trying to find good ways to prepare fish than any other. 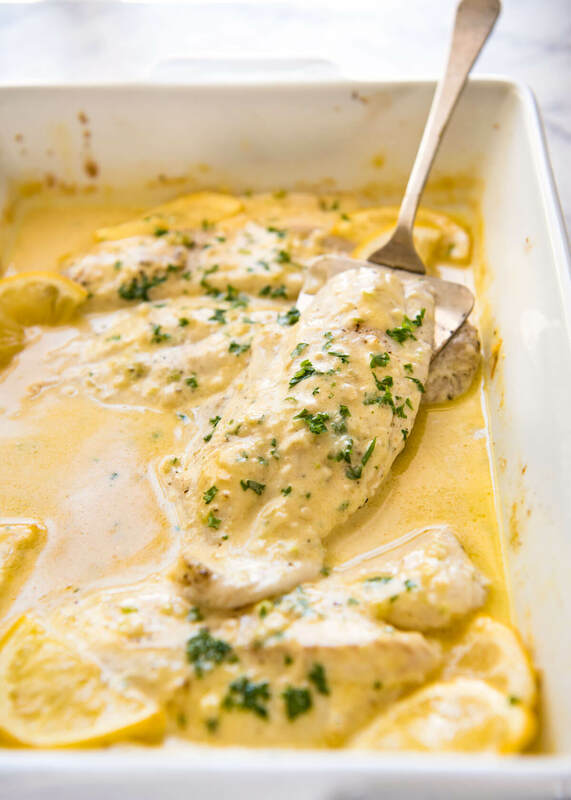 My husband would eat fish of some kind every day but I get in such a rut either frying (which I try to stay from) or a quick saute so this recipe will be a welcome change. These are all “tryers” for me because we would both like them all. He is not quite as adventurious as I am when it comes to new recipes. Thanks for all your hard work!! 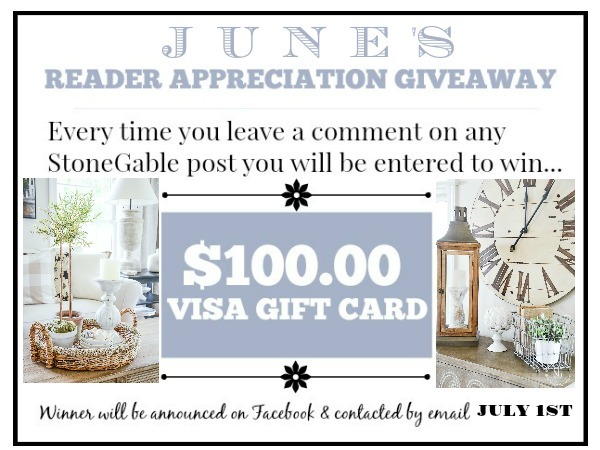 I really enjoy this blog feature each week; it’s like having our very own Stonegable cookbook. So glad you are doing your menus for the week again, Yvonne! Everything looks delicious! I haven’t made zucchini boats since I was first married 45+ years ago. The recipe I had called them “zuccanoes”. I should try them again. Thank you for your posts. You always share the best recipes!!! These look sooooo good! Thanks Yvonne! Can’t wait to try, especially the Chicken Cacciatore! they certainly are some yummy recipes! 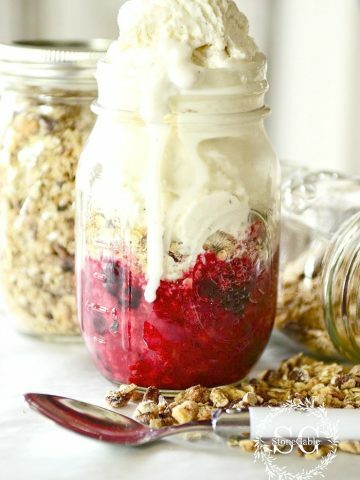 New to your blog, love these recipes! Can’t wait to try the fish recipe with barramundi fillets this week! This all looks good. Yum ! Thanks for the delicious recipes. Everything looks great. 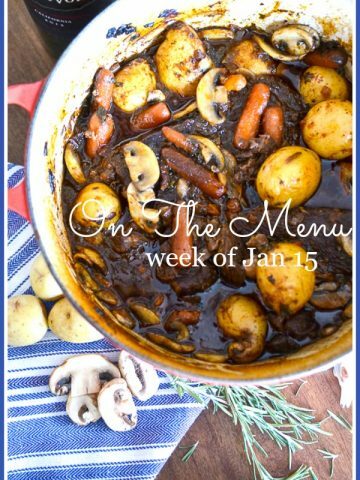 You nailed it with this week’s menus! More delicious recipes to try! Thanks! 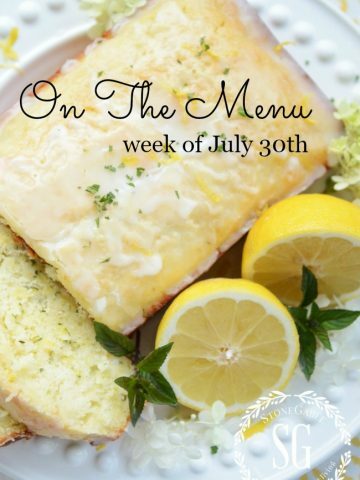 Love your menus each week! I can’t wait to try the soup and fish dishes. 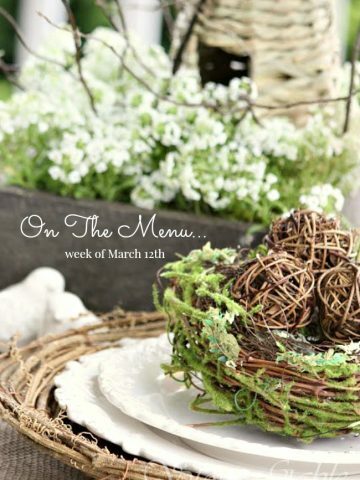 This menu plan is right down my alley, everything looks AMAZING!! 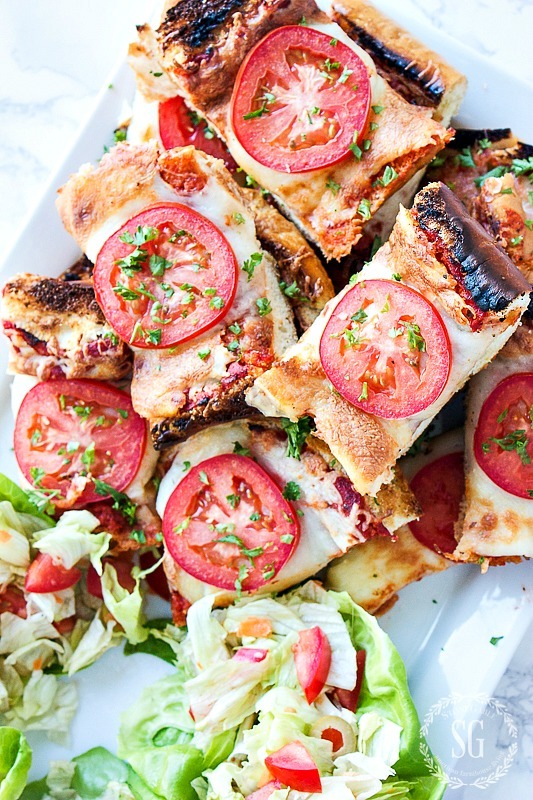 Crusty bread will pair nicely with a couple of these scrumptious dishes. Not to mention the Berry Crisp sends it over the top. 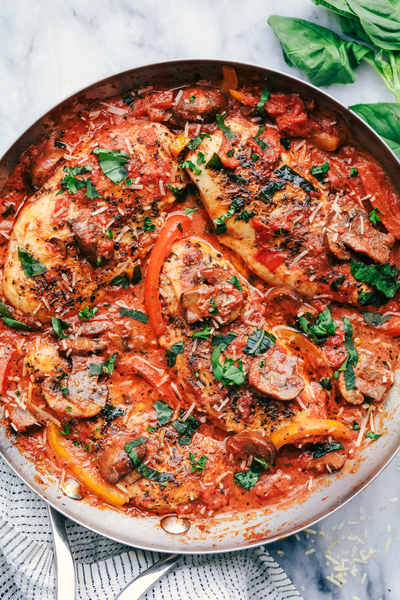 More yummy recipes.I just made chicken cacciatore this past week.